Thanks for the feedback Luhorhea and Teroapex. Did you got a chance to read last Wednesday's post, "10 Online Marketing Strategies For Non-Profit Organizations–Part 2"? Stay tuned, today we will be posting Part 3. Thanks for your dedicated following. Thanks for sharing those strategies. I really think that they're very helpful for non-profit organizations. Nice blog. thanks for the tips and advices.. Thanks for your feedback Karl and Food Advertising Network! We enjoy hearing from our blog readership. Non-profit organizations should know these strategies so they can have a knowledge on their site. It's great to know the purpose of the voices of the past website. Non-profit Organizations can also make Facebook pages about their causes and find people who are advocates of their cause and add them to the fan page. Non-profits should focus on Social media campaigns since you want to reach out to a wide variety of people over time. They can also use Linked-in go gain contacts and support from professionals. Non-Profits should also do local marketing using the sites such as Yelp, Citi-search and Google Places so that people will know where the can donate. Great article on marketing strategies, I learned a lot from reading it. Thanks. We also did some online marketing for Non-profits. A great tip is to be social and interact with people using Twitter and Facebook to get more donations. I have to agree with you on these tips on online marketing, thank you very much. Diversity on top of creativity and dedication makes a great strategy. I think all of these makes your link profile diverse and your marketing strategy better than the average non-profit. Non-profit organizations should definitely consider these strategies so they can increase the traffic in their websites. Social media definitely made it more easier to expose your product. Allowing the customers to be the creator of their own item is like letting them decide on designing their own item before buying it. Getting an eye catching web design is easy but getting people to interact and stay on your website is pretty hard. You should at least know how to optimize your web pages and use social media to attract more visitors. We also do these techniques for marketing our web hosting. We prefer to use Facebook and twitter feeds as a marketing technique. I agree with the comments. It is very important to create a very compelling website to attract visitors and eventually convert them into sales. Thank you for sharing this, I definitely leaned a lot from this. I'll definitely give this a shot. Thanks. I agree that social media and building a catchy websites help greatly in online marketing. the best online marketing information that one can read on this topic. I suggest you to go for it.Best information is available on this page for the people. To make a website good is very easy but its to promote by the visitors is too difficult. So many stateriges are using for promote your site, the best way to promote the site is Social media optimization, SEO work also. 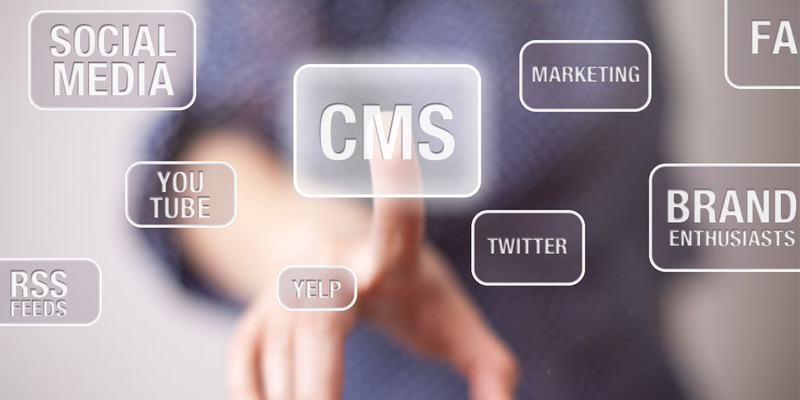 Create a web site using CMS helps the website owner to make their site very easily. Very nice post to creating a web site and how to promote it. Unskilled developers may embellish or over promise. Many want to talk about what they will do for you without actual proof. This has been confirmed by capturing the can be found of companies asking cms for web designers style work as sub-contractors, yet they cannot confirm outcomes for their website or their clients. Mengasyikkan juga jika terbang menggunakan layanan tour & travel dengan promo harga bersaing di saat banyaknya bisnis tiket online pesawat murah saat ini dan dapatkan pula paket tour agar acara liburan keluarga Anda lebih meriah. Jangan lewatkan artikel tips seo dari blog tutorial seo kami untuk bisnis online Anda semakin berkembang. I’ve talked about top web hosting reviews at length before, and I want to bring that same topic up again, but this time in a very specific context. Your post has everything that is obtained complete and really useful. This post is very good. Thank you for presenting a very good post.